Members of the class action suit filed against LG over the bootlooping experienced on several of its devices, now have a decision to make following LG's settlement of the legal action against it. Those who are part of the class action need to fill out and submit a "Proof of Claim" survey by February 12th to receive either a $700 rebate toward the purchase of a new LG handset, or $425 in cash. The law firm that represented some owners of the LG G4, LG G5, LG V10, LG V20, and the LG built Google Nexus 5X, Girard Gibbs, took the case after several units of these phones continued to try and reboot in an endless series of attempts that made it impossible for the handsets to be used by their owners. 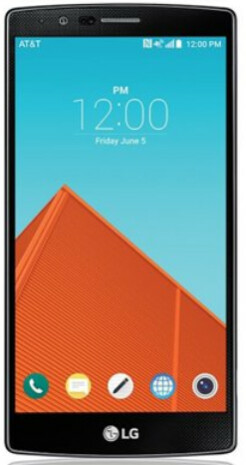 Originally, the class action dealt only with the LG G4 and LG V10. But the three other models were added to the proceedings last April. As it turned out, the bootlooping was caused by a poor soldering job on the CPU, which caused these models to freeze, or continuously attempt to boot up over and over and over and over and, well, you get it by now. If you do successfully file your claim, you should receive your award sometime in March. Not a bad sum, all things considered. Did your V20 bootloop or you're just panic?? Because my back up phone V20 (which it was purchased in November 2016 from South Korea) still survive from these bootloop problem. Did Google Nexus 5X too had bootloop issues? One of my friend owns Nexus 5 which was too made by LG though never heard about bootloop issues from him. It did & so did the G3, so I'm surprised that wasn't on the list. G3 did't bootloop in large quantities like g4/v10/nexus 5x. And i had seen many people still using G3 now, in 2018...but most of G4/V10 didn't survive even first year of it's life. That's beside the point. It did bootloop as you freely admit & as such, I'm surprised it wasn't on the list. Get your $425 cash and run !!!! That turned out pretty good for the boot loop owners. According to a blogpost on that website you list there is no class action settlement.